Author: Monique Leslie Akassi, Ph.D. 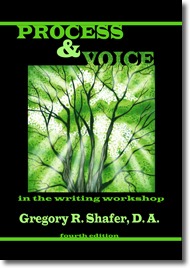 This is a ground-breaking work that addresses and challenges every teacher of English composition who is committed to preventing a cultural underclass of writers of the English language. It is a collection of essays. 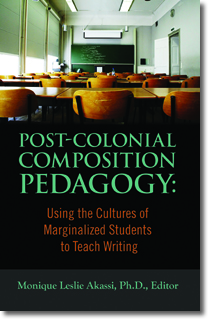 Fourteen scholars, including the author, from different academic institutions, share research that has helped them shape their pedagogy and methodology regarding the teaching of students, which is a significant population, whose first language is not the Standard English dialect. This work looks at the process methodology and the traditional methodology. It shows how they can be combined to serve all students effectively. No other work, as of this posting, has put forth such a comprehensive and scholarly discussion. Sometimes, when people see the words “marginalized students,” they only think of racial minority students. However, as one read this work, any intelligent reader will see that these words and the content applies to the many Caucasian students who are not a part of the “culture of power.” They, too, are marginalized students. Any academician, high school or college level, who is serious about wanting to improve every one of his or her students’ writing skills so that they can love to write and benefit personally, socially, and economically from the development of solid writing skills should and must read this work! Monique Leslie Akassi is an Assistant Professor of English at Virginia Union University. Her academic interests include composition pedagogy, rhetorical criticism, issues in American education, and her recent coined theory, post-colonial composition and praxis. She has been published both nationally and internationally. She is the author of Neo Hybrid Pedagogy in Post Colonialism Composition: An Investigation On Writing Portfolios For African American Students, just one of her several authored works.